Uses: Before and After, Gymnasium, Maintenance Projects, Other Markets Colors: Gray/White Lengths: 7 panel 13'-1" Heights: 5'-9"
What Would You Hide Behind Your Screenflex Room Dividers? I really like this question because many of our customers use our room dividers as a storage solution when storage space is limited. One of our customers sent us two photos of the transformation of their classroom. What a difference the dividers have on the appearance of the room. Everything used in the classroom is kept in the room. 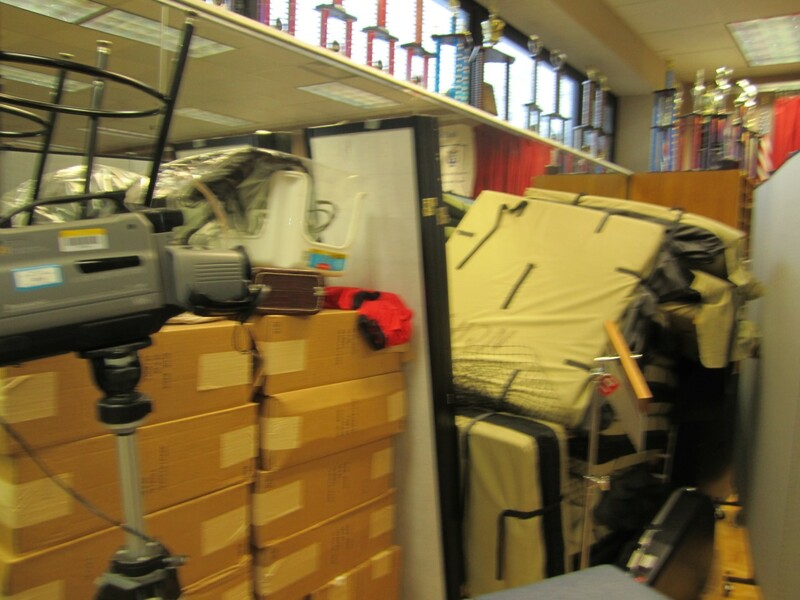 Since the classroom pictured below doesn’t have a storage room or closet, miscellaneous items were stored in the corner of the room when not in use. In this particular classroom, around 250 students come through the room each day. Students participate in various classes and after school clubs. Handbells, drums, tables, chairs even madrigal dinner pieces from the medieval to renaissance periods are all stored here. The corner of the classroom was beginning to look a bit cluttered. Take a look! The instructor began looking for a solution to her storage needs and found the solution at the Smithsonian in D.C. The Smithsonian also had a need for additional storage space as well as a way to display promotional flyers for their exhibits. As a result, Screenflex portable walls are set up all over the museum. Not only do the room dividers looked great but they offer a visual privacy. The teacher was convinced this was the solution to getting rid of the clutter in her classroom too! After rolling the room divider into place, you can see how amazing the classroom looks now. No more clutter which means no more distractions. 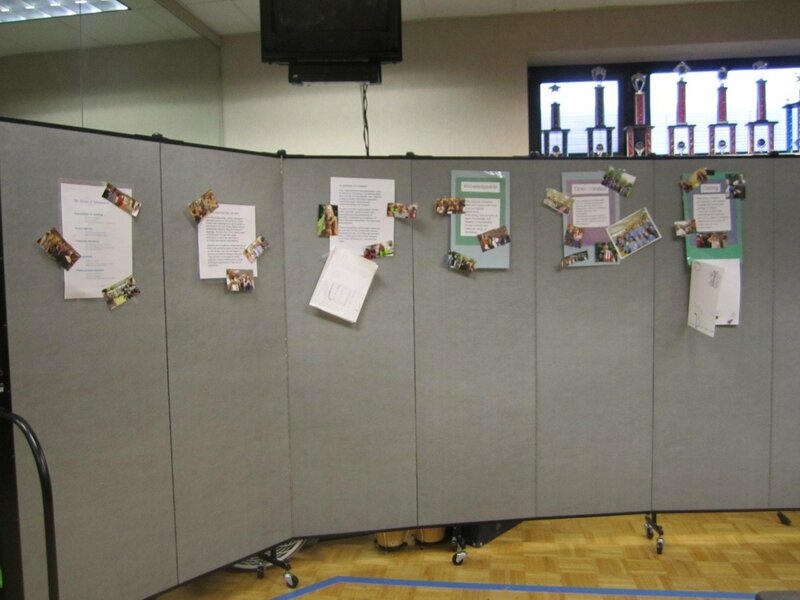 Divider panels even provide a nice spot to post photos and bulletins for the students.